Gastric Band Hypnotherapy - Is It The Right Option For You? Is gastric band hypnotherapy really what you need? Are there different types of hypnotic gastric band? Do hypnotic gastric bands work? Should you get gastric band hypnosis? What the hell is gastric band hypnosis anyway? Is it for real? Does it work? Should you do it or try yet another diet and hope that that one is the one that hits the spot?? 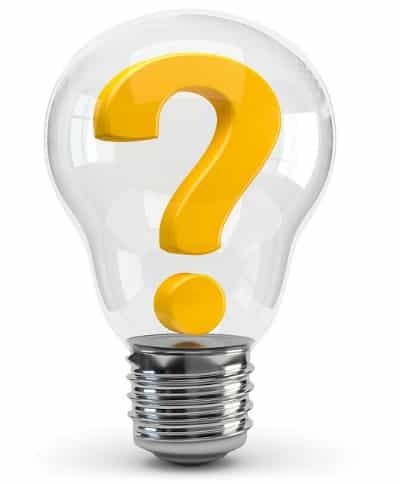 You will get the answers to these questions and more on this page. Read on! You have probably heard about gastric bands or virtual gastric band hypnosis and wondered what it was all about and more importantly if it could work for you. Most of the people who find themselves on a page like this are overweight and struggling to manage their weight. Chances are you have tried countless diets, slimming world or weight watchers groups or slim-fast shakes but they often don’t work. So you go looking for something….anything!….that might make the difference. A hypnotic gastric band could be exactly what you have been looking for. I say “could” because it doesn’t suit everyone and this page is all about helping you figure out if it is the right option for you and if it isn’t what else you could try in order to gain control of your weight. Alongside this talk of the actual surgery there are also suggestions made for eating slower, stopping when full, having smaller portions and that kind of thing. There is no doubt that this approach has had some success in the past as the video here shows. The idea behind the hypnotic gastric band is that you recreate one of the procedures that surgeons actually do when they do real bariatric surgery. This means that once the client is in a hypnotic trance the hypnotherapist talks about the operation as though it was the actual pre-surgery chat. Later in that session or on another day the hypnotherapist talks about the surgery being done. They talk about imagining the keyhole incisions being made and how the restrictive cuff is placed around the upper part of the stomach. They go into quite a lot of detail because when you are in a hypnotic trance this kind of detail helps the process to seem real (on one level) and the more real it seems the more likely you are to behave as if the actual surgery has been done. The hypnotic gastric band has been around for a good few years and in that time various companies and individuals have created their own branding around the process. Is the success experienced down to the imagined surgery or the suggestions for eating slower, changing attitudes and thoughts? What are my qualifications to talk about virtual gastric bands? I have been working in the area of hypnotic weight control since 2008. I use hypnosis and NLP as the main tools for helping people achieve their goals. I have helped some people to get some amazing results as my weight loss hypnosis reviews will attest to. I have also done the specific training in how to do a hypnotic gastric band. For a while I did offer the process alongside my weight loss hypnotherapy sessions and the experience of offering these sessions just didn’t sit right with me. The sessions just didn’t seem to be the right approach as far as I was concerned. The NHS used to ration the gastric band surgery but now are more keen to do gastric band operations as in the long run this saves them more money than not intervening. Does gastric band hypnosis work? The short answer is…. sometimes. The question is though, is it the gastric band part of the process that works or the hypnotic suggestions for portion control, slower eating, eating more mindfully etc? As far as I am aware there doesn’t seem to be much difference between hypnotic gastric therapy and weight loss hypnotherapy. There are many hypnotic gastric band reviews out there and the results are stunning in some cases. A woman and her daughter lost 2 and 3 stone respectively in just 12 weeks. Equally, there are people who have had a similar or better degree of change from weight loss hypnotherapy that doesn’t involve the ‘surgery’ side of things. This means that it comes down to personal preference about which of the two methods you will use to tackle your weight. There is no doubt that Paul McKenna has done wonders for the visibility and popularity of hypnosis. He is perhaps one of the most well known hypnotherapists in this country. There is an amazing thread on Netmums about how people have used the Paul McKenna hypnotic gastric band approach and dropped a huge amount if weight. It is rather scary from my point of view to hear how people dropped one stone in 2 weeks!This is an unsafe amount of weight loss and is not to be aspired to but many people still do. 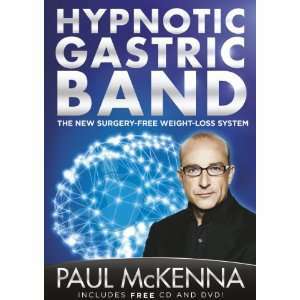 If you are considering a hypnotic gastric band after reading this page then by all means try the Paul McKenna Gastric Band book and CD. How much does a hypnotic gastric band cost? 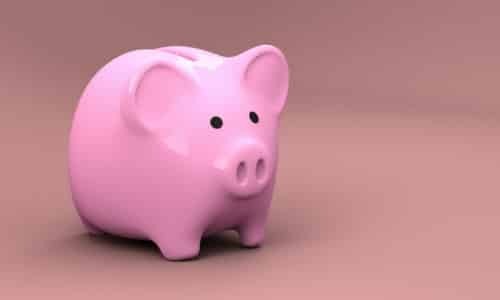 The cost of a hypnotic gastric band is often a little higher than hypnosis for weight loss but prices often vary dramatically depending on the skill, training and experience of the hypnotherapist. You can find a wide variety of prices for hypnotic gastric bands and varying degrees of complexity and authenticity as to how closely the process resembles the actual surgery. Some therapists use sound effects and even have the smell of antiseptic etc incorporated into the process. Any weight loss takes a change in attitude. The hypnotic gastric band operation is focused on changing imagined capacity and the other parts of the treatment are designed to work on the beliefs and attitudes about food. Hypnotherapy for weight loss is all about changing attitude. All the sessions are spent focusing on this rather than some on capacity and some on belief. It is very much dependent on the individual as to which approach will be most appropriate. This video which is taken from GMTV Daybreak featuring Lorraine Kelly looking at how a mother and daughter lost 5 stone in 12 weeks after getting hypnotic gastric bands. There are many branded gastric band hypnosis techniques out there and there isn’t much to differentiate between many of them to be honest, they all do pretty much the same thing. Could your weight loss medication be killing you? How is a hypnotic gastric band different to weight loss hypnotherapy? Below you will find a compare and contrast of the two hypnotic approaches to weight loss. Empowers the client through belief change but is also an authoritarian approach as the surgery is done to the client. Should you get a hypnotic gastric band? Getting a hypnotic gastric band is often something that people look into because they have seen it on TV or heard about some celebrity who has had it done. Gemma Collins from TOWIE had a hypnotic gastric band and dropped 3.5 stone. She could almost certainly have done just as well with regular hypnosis for weight loss, got a more tailored approach and spent less money in the process in my opinion. Don’t do something just because a celebrity has had it done. Consider all the options. Think about what you genuinely need rather than because someone else did it. Do something because it is right for you. If you genuinely think a hypnotic gastric band provides what you need and want and you have found a therapist who you have rapport with then go for it. I just think for the majority of people there are better alternatives. If you have any questions about hypnotherapy for weight loss feel free to get in touch, I would be more than happy to hear from you. Which gastric band option is right for you?